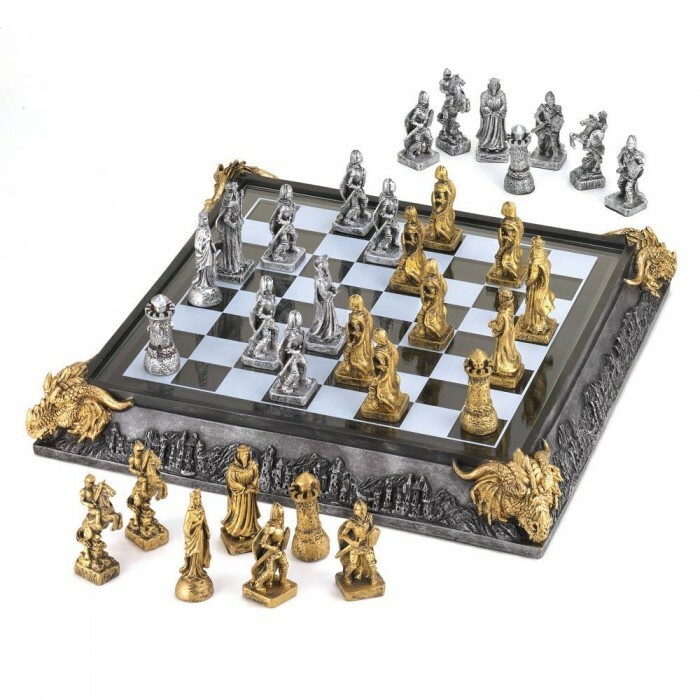 Knights and dragons play on a medievally crafted board that adds mystical appeal to the timeless battle of chess. 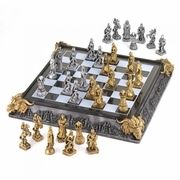 All 32 finely detailed chessmen fit inside the elaborately carved chessboard case. Poly-resin and wood. 17" x 17" X 2 3/4" high.